In Stock: ONLY THREE LEFT!!! 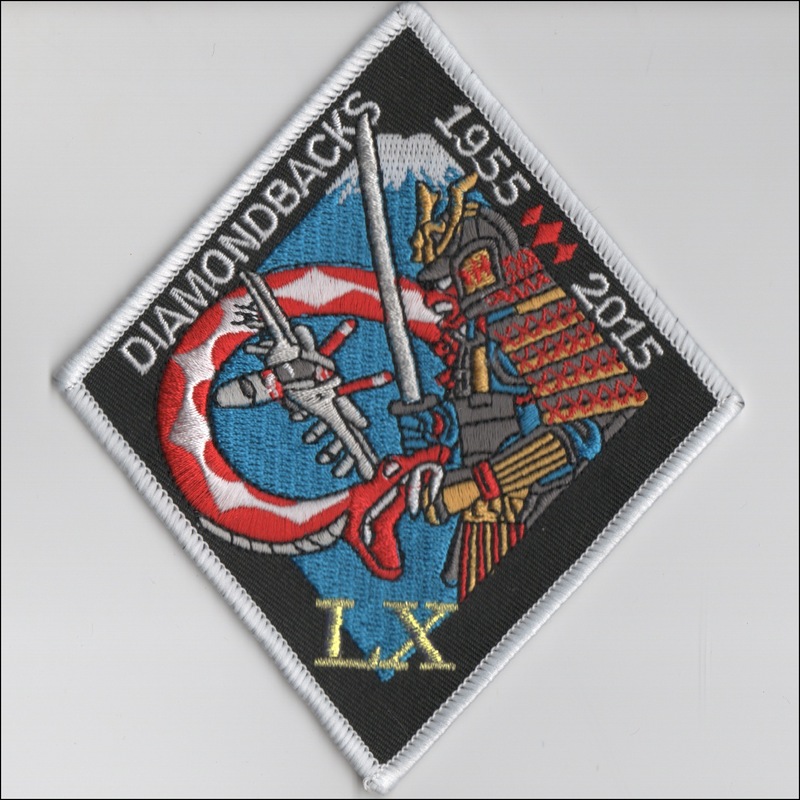 This is one of the last patches created by the Daimondbacks for their time in Japan. This is the "45 Years of CVW-5" (HUGE oval) version of their aircraft lineage. 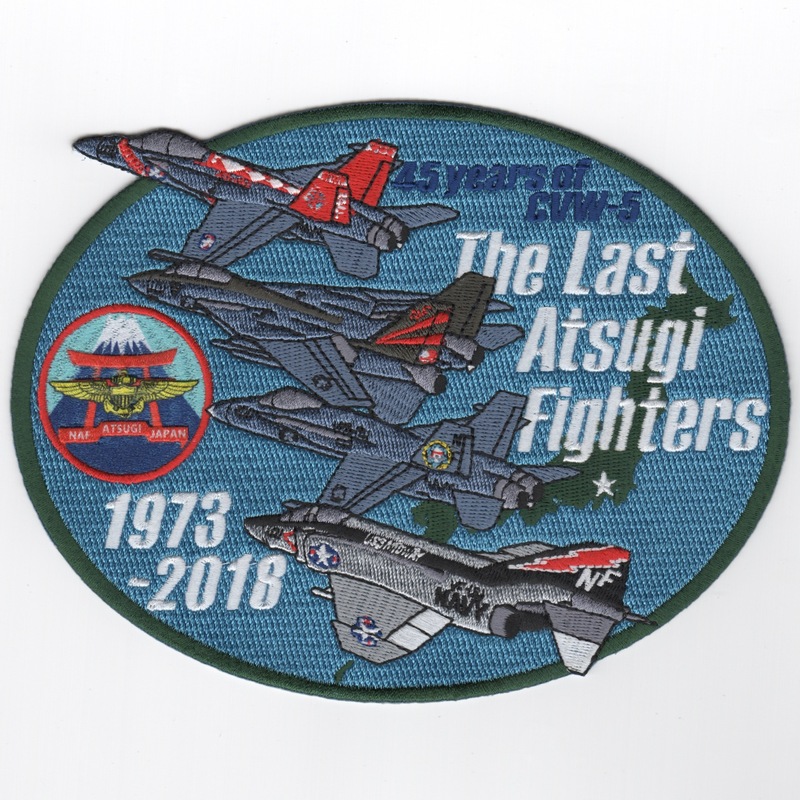 It sasy "THE LAST ATSUGI FIGHTERS" with the dates "1973-2018" and the famous ATSUGI emblem (in the sublimated style). EMAIL ME TO RESERVE ONE, as I only have FIVE!!! 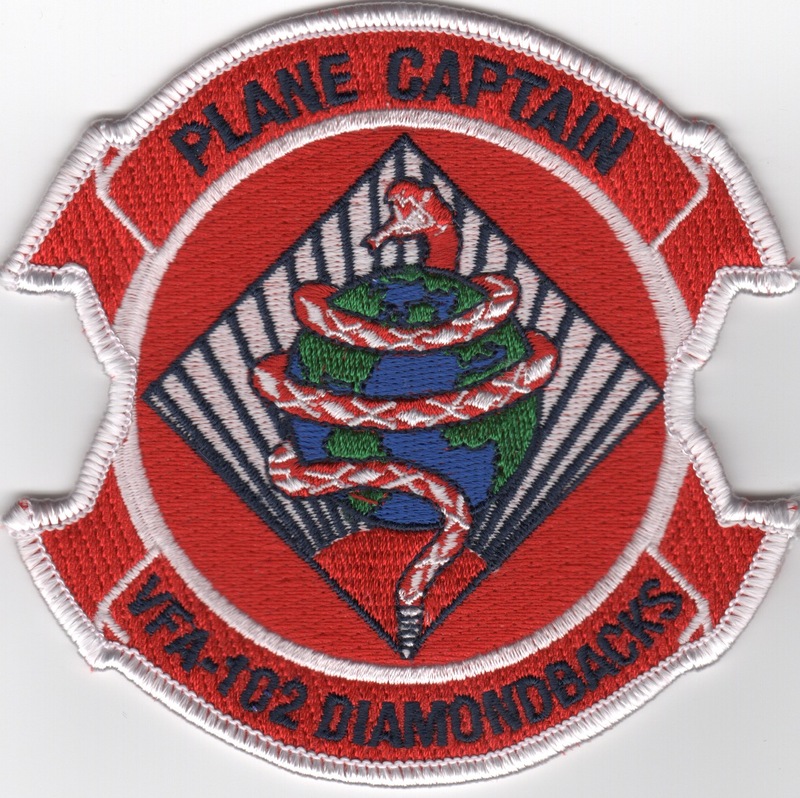 The "Diamondbacks" of VFA-102 now operate the F/A-18F out of NAS Lemoore, CA. 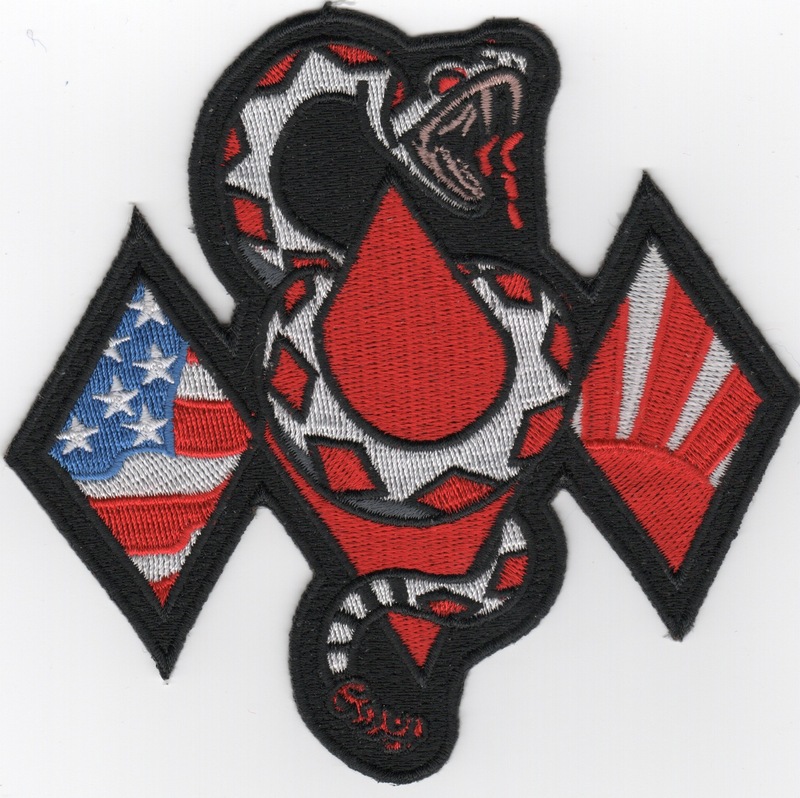 This is the red version with the "Snakehead" on their F/A-18F TAILFIN patch. These are the nametags for the pilots for VFA-102. This is the desert version of the nametag for the pilots for VFA-102. The VFA-102 "Diamondbacks" are located at NAS Lemoore, CA and fly the F/A-18 Hornet. They were established in July 1955, and transitioned from the F-4J Phantom to the F-14A Tomcat in July 1981 then to the F-18 Hornet in 2002. During operations against Libya in 1986, they were fired upon by SA-5 SAM Systems. They also participated in Operation Desert Storm. The VFA-102 "Diamondbacks" are located at NAS Lemoore, CA and fly the F/A-18 Hornet. They were established in July 1955, and transitioned from the F-4J Phantom to the F-14A Tomcat in July 1981 then to the F-18 Hornet in 2002. During operations against Libya in 1986, they were fired upon by SA-5 SAM Systems. They also participated in Operation Desert Storm. 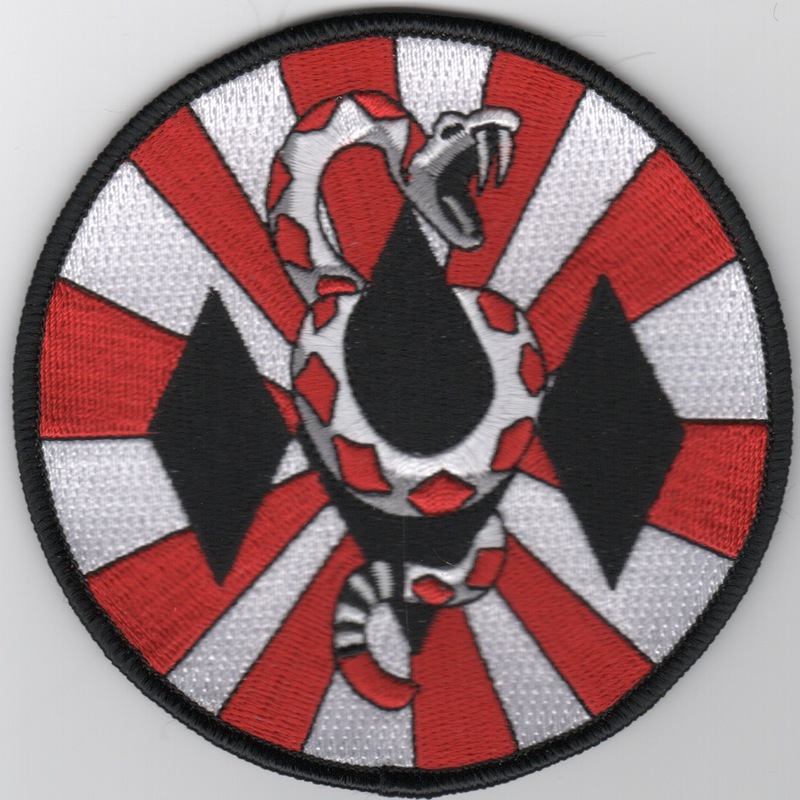 This is the "Snake Head" version of their red "Friday" patch and does not come with velcro attached. This is the (all red) version of the Hornet diamond aircraft triangle. The VFA-102 "Diamondbacks" are located at NAS Lemoore, CA and fly the F/A-18 Hornet. They were established in July 1955, and transitioned from the F-4J Phantom to the F-14A Tomcat in July 1981 then to the F-18 Hornet in 2002 and this is the aircraft patch worn on the right sleeve of the flight suit. During operations against Libya in 1986, they were fired upon by SA-5 SAM Systems. They also participated in Operation Desert Storm. They currently are attached to CVW-1 onboard the USS John F. Kennedy. This is the (red/white) version of the Hornet diamond aircraft triangle. The VFA-102 "Diamondbacks" are located at NAS Lemoore, CA and fly the F/A-18 Hornet. They were established in July 1955, and transitioned from the F-4J Phantom to the F-14A Tomcat in July 1981 then to the F-18 Hornet in 2002 and this is the aircraft patch worn on the right sleeve of the flight suit. During operations against Libya in 1986, they were fired upon by SA-5 SAM Systems. They also participated in Operation Desert Storm. They currently are attached to CVW-1 onboard the USS John F. Kennedy. This is the (green/yellow) version of the Hornet diamond aircraft triangle (which means this is the FNG patch! It is from Japanese beginner driver's mark!!). The VFA-102 "Diamondbacks" are located at NAS Lemoore, CA and fly the F/A-18 Hornet. They were established in July 1955, and transitioned from the F-4J Phantom to the F-14A Tomcat in July 1981 then to the F-18 Hornet in 2002 and this is the aircraft patch worn on the right sleeve of the flight suit. During operations against Libya in 1986, they were fired upon by SA-5 SAM Systems. They also participated in Operation Desert Storm. They currently are attached to CVW-1 onboard the USS John F. Kennedy. 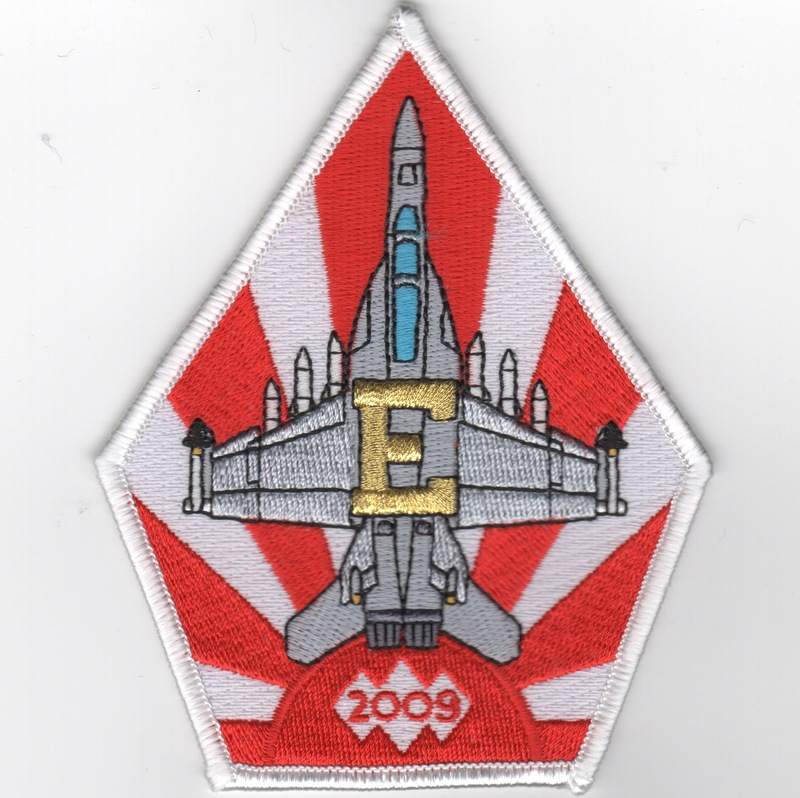 This coffin patch was created to commemorate VFA-102's winning of the 2009 Battle "E" award. This is the "forward deployed" version of the Hornet diamond aircraft triangle. The VFA-102 "Diamondbacks" are located at NAS Lemoore, CA and fly the F/A-18 Hornet. They were established in July 1955, and transitioned from the F-4J Phantom to the F-14A Tomcat in July 1981 then to the F-18 Hornet in 2002 and this is the aircraft patch worn on the right sleeve of the flight suit. During operations against Libya in 1986, they were fired upon by SA-5 SAM Systems. They also participated in Operation Desert Storm. They currently are attached to CVW-1 onboard the USS John F. Kennedy. This is the "Strike First, Strike Hard" version of the Hornet diamond aircraft triangle. The VFA-102 "Diamondbacks" are located at NAS Lemoore, CA and fly the F/A-18 Hornet. They were established in July 1955, and transitioned from the F-4J Phantom to the F-14A Tomcat in July 1981 then to the F-18 Hornet in 2002 and this is the aircraft patch worn on the right sleeve of the flight suit. During operations against Libya in 1986, they were fired upon by SA-5 SAM Systems. They also participated in Operation Desert Storm. They currently are attached to CVW-1 onboard the USS John F. Kennedy. The VFA-102 "Diamondbacks" are located at NAS Lemoore, CA and fly the F/A-18F Hornet. They were established in July 1955, and transitioned from the F-4J Phantom to the F-14A Tomcat in July 1981 then to the F-18 Hornet in 2002 and this is the aircraft patch worn on the right sleeve of the flight suit. During operations against Libya in 1986, they were fired upon by SA-5 SAM Systems. They also participated in Operation Desert Storm. The VFA-102 "Diamondbacks" are located at NAS Lemoore, CA and fly the F/A-18F Hornet. 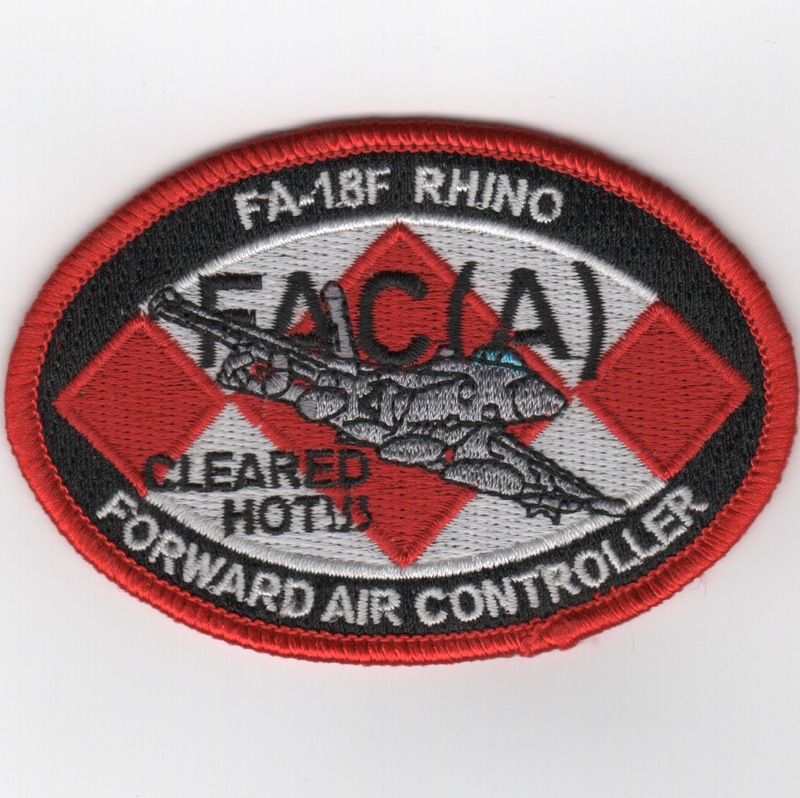 They were established in July 1955, and transitioned from the F-4J Phantom to the F-14A Tomcat in July 1981 then to the F-18 Hornet in 2002 and this is the 'FAC-A' patch worn on the right sleeve of the flight suit. During operations against Libya in 1986, they were fired upon by SA-5 SAM Systems. They also participated in Operation Desert Storm. The VFA-102 "Diamondbacks" are located at NAS Lemoore, CA and fly the F/A-18 Hornet. They were established in July 1955, and transitioned from the F-4J Phantom to the F-14A Tomcat in July 1981 then to the F-18 Hornet in 2002. This is the Fighter Attack Refueling Team Pacific (FARTPAC) patch. The VFA-102 "Diamondbacks" are located at NAS Lemoore, CA and fly the F/A-18 Hornet. They were established in July 1955, and transitioned from the F-4J Phantom to the F-14A Tomcat in July 1981 then to the F-18 Hornet in 2002. This is the completely round version of their 50th Anniversary patch. The VFA-102 "Diamondbacks" are located at NAS Lemoore, CA and fly the F/A-18 Hornet. They were established in July 1955, and transitioned from the F-4J Phantom to the F-14A Tomcat in July 1981 then to the F-18 Hornet in 2002. This is the round version of their 50th Anniversary patch. The VFA-102 "Diamondbacks" are located at NAS Lemoore, CA and fly the F/A-18 Hornet. They were established in July 1955, and transitioned from the F-4J Phantom to the F-14A Tomcat in July 1981 then to the F-18 Hornet in 2002. This is the diamond version of their 50th Anniversary patch. 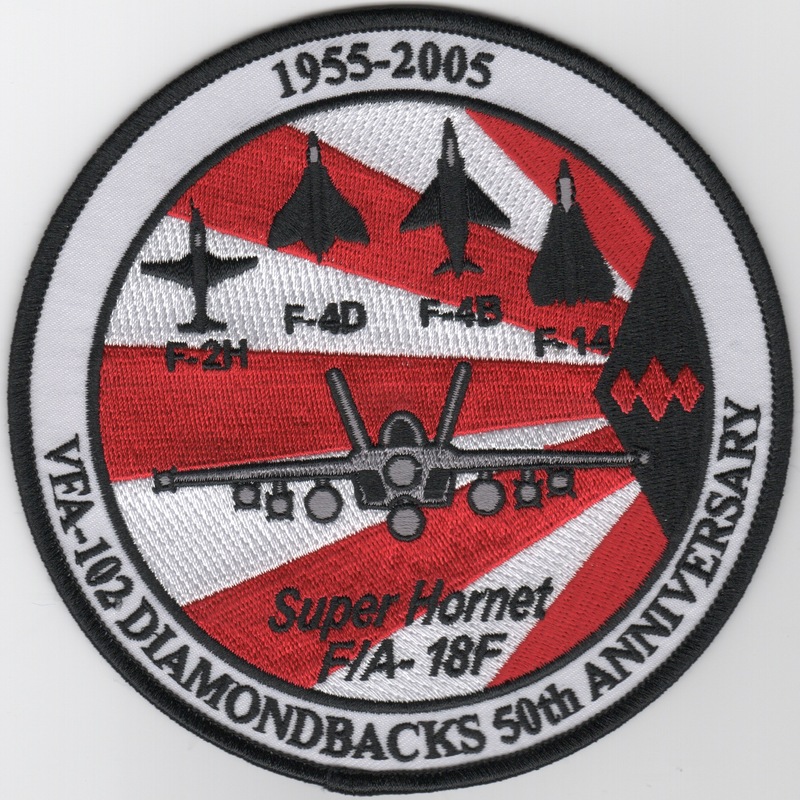 The VFA-102 "Diamondbacks" are located at NAS Lemoore, CA and fly the F/A-18 Hornet. They were established in July 1955, and transitioned from the F-4J Phantom to the F-14A Tomcat in July 1981 then to the F-18 Hornet in 2002. This is the diamond version of their 60th Anniversary patch. 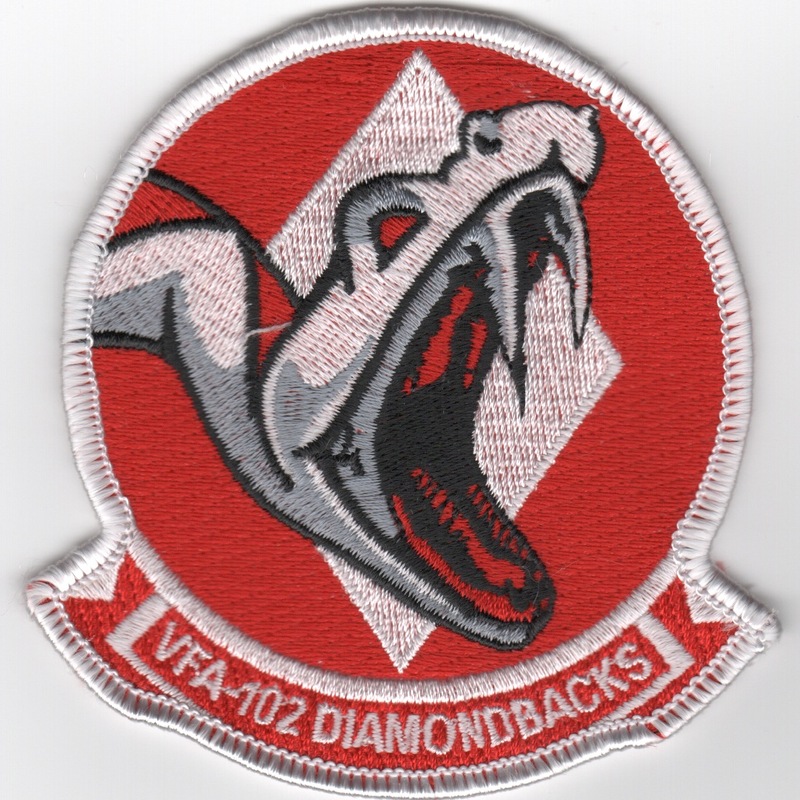 This is the patch created for VFA-102's 10th anniversary of being located in Japan. It shows the years (2003 - 2013) and says "YEAR OF THE SNAKE". Great looking patch! 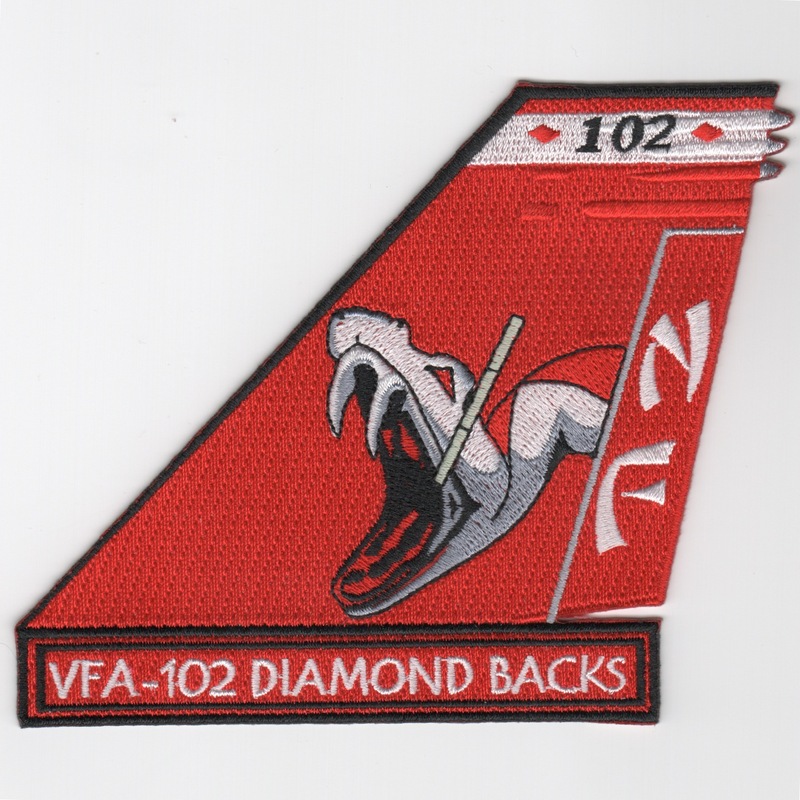 This is the patch created for VFA-102's 10th anniversary of being located in Japan. It shows the American Flag on the left, the Japanese Flag on the right, and the "snake mascot" coiled around the center diamond. 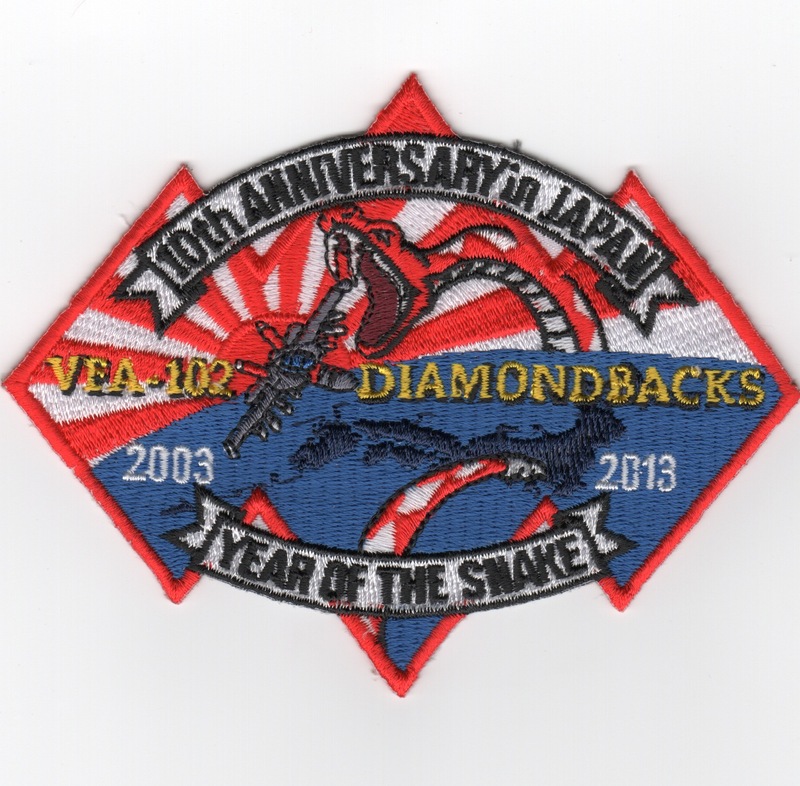 This is the round version of the patch created for VFA-102's 10th anniversary of being located in Japan. It shows the "snake mascot" coiled around the center of three diamonds with the Japanese "Red Rising Sun" in the background. 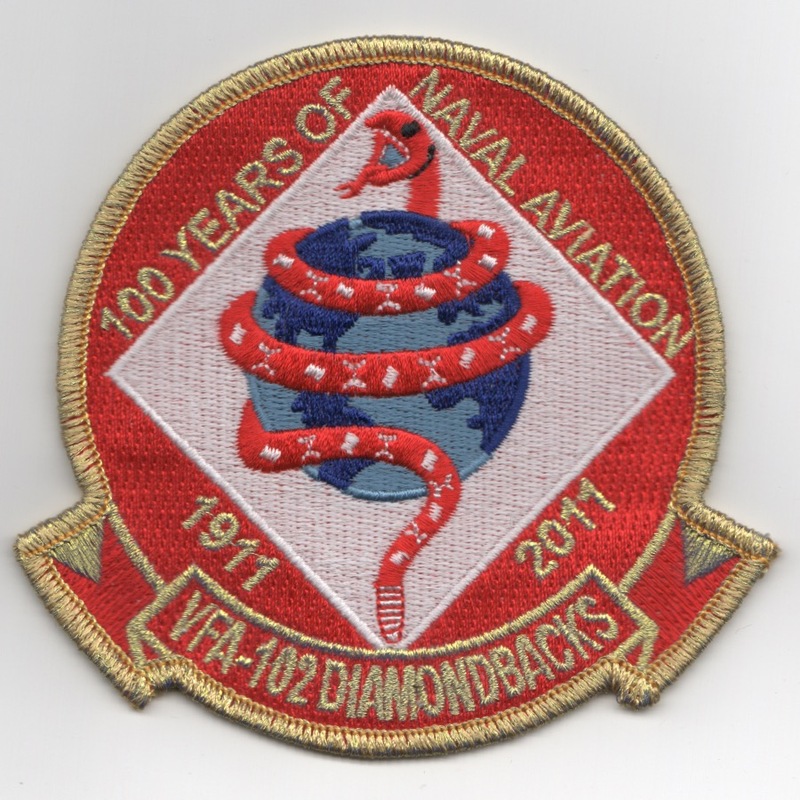 This is the gold-thread-bordered version of the patch created for VFA-102's celebration of the '100 years of naval aviation'. Very nice (and fairly rare) patch from them. This patch does not come with velcro attached. 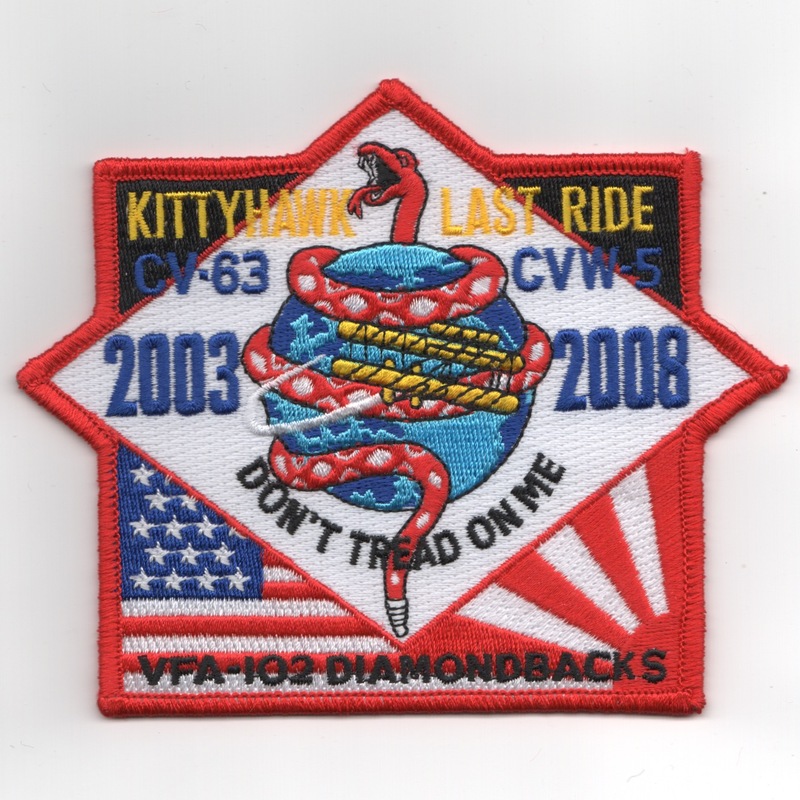 This is the 2008 'KITTYHAWK LAST RIDE' patch created for VFA-102 / CV-63 / CVW-5. It has the standard "snake on the world" insignia with the Wright Brothers airplane (from Kitty Hawk, NC) departing with both the American and Japanese flags underneath. Only have a VERY FEW of these, please pardon me if they sell out before I can keep the site current.....no velcro on the back. 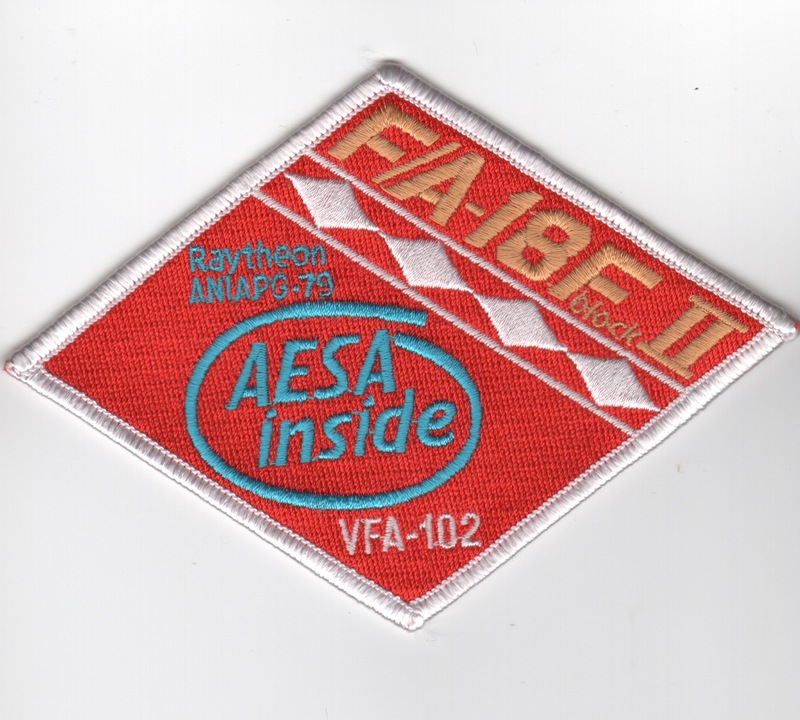 This is the diamond-shaped patch from VFA-102 for their F/A-18F, Block II aircraft bragging about their new A/A and A/G radar, the AESA (AN/APG-79). The VFA-102 "Diamondbacks" are located at NAS Lemoore, CA and fly the F/A-18 Hornet. They were established in July 1955, and transitioned from the F-4J Phantom to the F-14A Tomcat in July 1981 then to the F-18 Hornet in 2002. During operations against Libya in 1986, they were fired upon by SA-5 SAM Systems. They also participated in Operation Desert Storm. This is the "Plane Captain" patch worn by those who take care of the aircraft. Homepage | Order VFA-102 Patches!